Technology has been influencing fashion since the beginning of time and it’s no surprise that the theme for this year’s Met Gala is “Fashion in the Age of Technology”. Fashion is constantly evolving, and in recent years we have witnessed the impact that technology has had on the way that consumers and retailers shop. The increase in new technologies has changed our relationship with fashion and high-tech accessories are becoming more and more popular. We have studied the top fashion technology trends and how they shape the fashion world today. From clothing that changes appearance in different environments to 3D printing innovations, here are five tech-savvy accessories that are revolutionising style. 3D printed clothing is becoming increasingly popular in the fashion world. Dita Von Teese made headlines in 2013 when she modelled the first 3D printed gown designed by Michael Schmidt. But Schmidt is not the only designer fusing fashion and technology, one of the most inventive creations that combines both fashion and technology has been created by Dutch designer, Anouk Wipprecht. Wipprecht designed a collection of interactive 3D printed dresses for Audi, two of which included parking sensors which trigger flashes of light in the dress when someone gets close to the wearer. The designs are a breathtakingly beautiful example of technology’s recent influence on fashion. Did you know that there’s a stylish way to stay safe while out on your own? In the modern era we lead demanding lives and are often forced to multitask, thus it makes sense that the same would apply to our wardrobes. This is probably one of the reasons why dual purpose jewellery is becoming so popular. One such piece that has combined tech and fashion comes from the company CuffLink, who has designed necklaces, cuffs and bangles with Bluetooth capabilities. 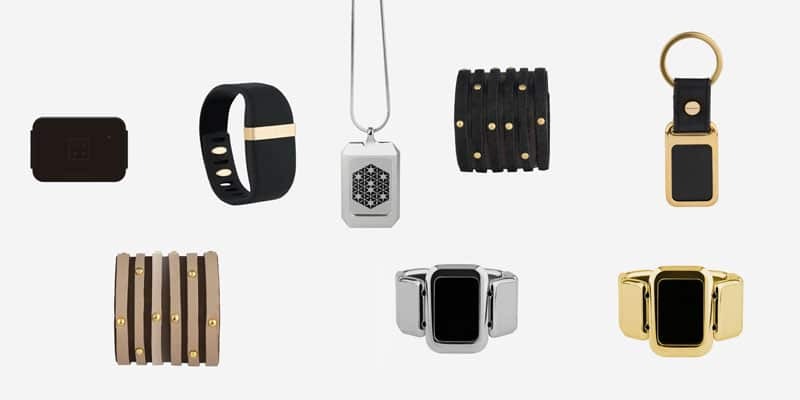 This jewellery can send emergency alerts to loved ones when you need help, they require no charging and last for 6 to 12 months (depending on the frequency of use) and they are water-resistant. Charge your phone with your clothing using solar energy. With just an hour in the sun you could charge your smartphone up to 50%, and it’s possible through the use of flexible solar panels sewn into your clothing. 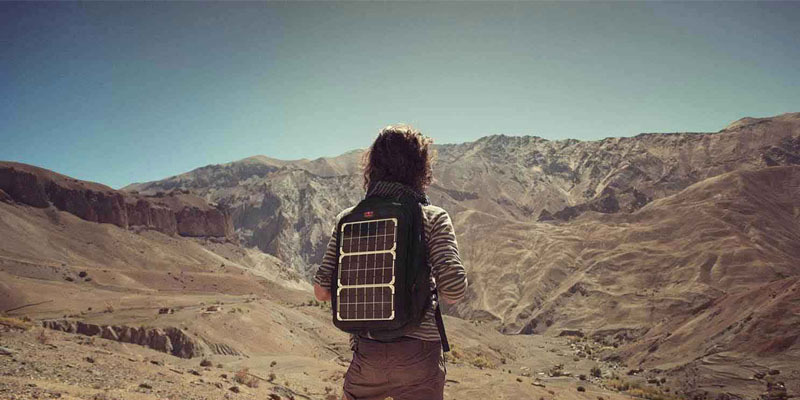 Wearable Solar is behind this great idea, while Voltaic Systems makes bags that can also charge various electronic devices. If you want your clothing to change its appearance according to its environment, then these garments by Rainbow Winters will suit you fine. Some of the items react to sound, while others, such as the bathing suit, react to light. There is also a brilliant collection by fashion designer Ying Gao, who creates dresses that move when people look at them. The garments have eye-tracking technology embedded into them which react when someone looks at them by activating tiny motors. The dresses also resemble something that would be at home in the deep blue of the ocean, thanks to the luminescent and glow-in-the-dark fabrics used to create them. Sometimes the greatest way technology has shaped the fashion industry is by catering to it. Instead of creating a futuristic garment that changes colour or moves, designer Rebecca Minkoff chose to work around technology. 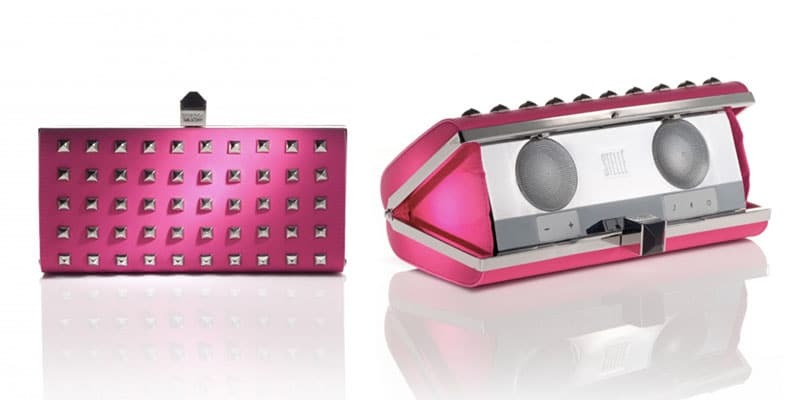 In this case she crafted four incredibly stylish clutch bags which store a speaker. These bags feature stud detailing, a “love” print, come in classic metallics or bold colours. The Audio Clutch pairs wirelessly to any Bluetooth device, and is the perfect design for any music lover. Technology is rapidly influencing the fashion industry, can you imagine what will happen in the next two or three decades? We think that the truly successful brands of the future will utilise the latest technology trends and incorporate them into their designs.